Starting this week a selection of my paintings and mixed media art works will be hosted at the Pollard Theater in historic Guthrie, Oklahoma. They will adorn the lobby of the building during the theater's production of The Miracle Worker opening February 21 running through March 15. They also offer ticket specials and behind-the-scenes videos via their Facebook page. 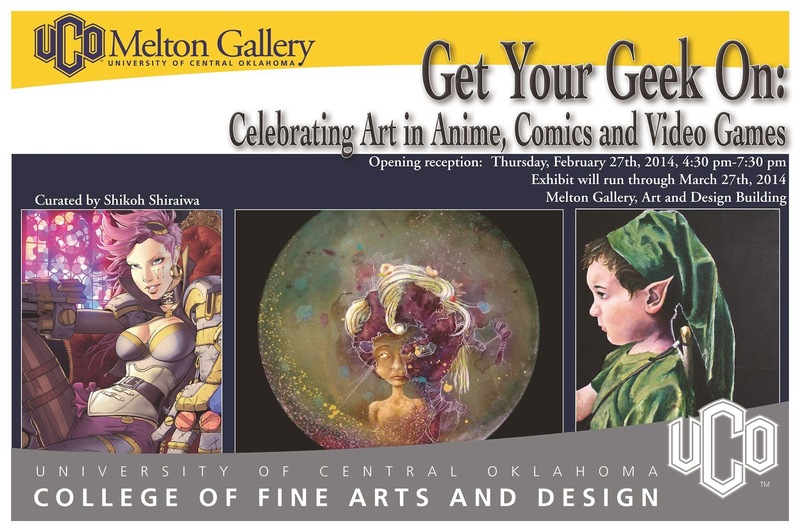 I am also pleased to have a piece in this show at the Melton Gallery on the UCO campus, paying tribute to art in anime, comics, and video games. This is a juried group show featuring artwork of both student and professional artists. 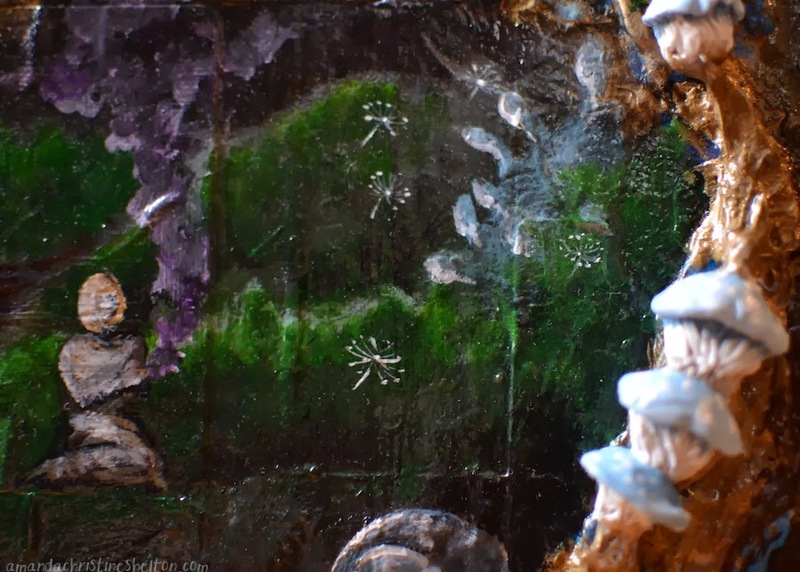 I will be showing Spore Ceremony, a piece I blogged in an earlier post, but you really have to see in person to enjoy the dimensional/sculpted qualities as the photos are all of details and snippets of it... It is a very new type of work for me to create and exhibit keeping within the natural themes in which I love to explore. I hope to see you at one of these upcoming events- for more information and updates you can follow on Facebook and Twitter.